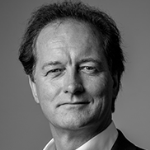 Roger Flyn is a business development guru who includes investor, director, former BBC Ventures Chief Executive and Virgin Commercial Director on his illustrious CV. Roger Flynn is an expert in transformational change; having gained unique experience as the CEO/Director leading such change in five global brand name companies. He has run businesses with turnovers of up to £2 billion, affecting millions of customers and many thousands of staff worldwide. Following a successful MBO with Warburg Pincus, Roger ran the European and Asian businesses of SDI Media Group, a global film and television business. Roger was Chief Executive of BBC Ventures Group and a BBC main board member creating over £1 billion of value. Roger was on the Executive Committee of the BBC and therefore intimately involved in the discussions and debates about convergence from a broadcaster perspective. BBC Ventures was the holding company for all the media services to the BBC and other broadcast /IT customers around the world. Roger held the post of Managing Director of Prudential Retail, with £2 billion sales, 6 million customers and 6,000 staff; General Manager World Sales & Distribution at British Airways where he transformed distribution. As Commercial Director of Virgin, he was working directly for Sir Richard Branson on deals and new business ideas and advised Virgin Media on sales strategies for their newly merged business of Mobile alongside the rest of what was NTL, the cable business. Roger has advised Fujitsu on TMT in the UK. Fujitsu are a very significant player in converged technical solutions around the world, running NHK’s (the Japanese Broadcaster) infrastructure and joint R&D with them. Roger is Chairman of Olive Communications, a company offering converged communications solutions and is also Chairman of loveholidays.com which is the UK’s fastest growing online travel agency. He is and a non-executive director of Nextgen Media. These roles bring a fresh and up to date perspective on IT convergence and ecommerce. Roger brings a wealth of experience as a practitioner in transformational change. His insights, solutions and stories have proven invaluable to organisations around the world. He seeks to understand the business challenges facing your organisation and tailors his presentation to have maximum impact on the audience. An engaging and inspiring speaker; Roger connects with audiences at a business and personal level in a practical way. “Roger Flynn is rated as one of the most powerful positive influences a modern business leader can engage within the space of one hour”. The inside story of what makes Virgin tick. What is it about the way Virgin does business that has made it so successful over the last 25 years? Working directly for Richard Branson for 7 years, he launched and accelerated a number of businesses. He also advised the Board of Virgin Media. He is uniquely placed to talk on the business methodologies adopted by Virgin, how it competes and how its values have developed to create one of the leading brands in the world. British Airways led the world in distribution innovation in the mid 1990’s, tackling the outdated airline system and bringing innovations that created the electronic experience everyone’s familiar with today. Roger led this transformation with a strategy to reduce cost of sales from 20% to 6%. Painting his office door bright blue when he joined signalled that changes were coming – changes which led to incredible innovation, momentum and results. What was it that had thousands of staff in tears when Greg Dyke was fired? Why did they pay for national newspaper ads calling for his reinstatement? What did he do to create such belief in the vision for the BBC and the leadership team? Roger was Chief Executive of BBC Ventures Group and a member of the BBC’s Executive Team during this period of transformation. His insights provide valuable lessons for any organisation undertaking a period of significant change. The Prudential Retail business model needed to be transformed into a multi-channel proposition with a broader product offering. When 7,000 staff are wedded to the old model, how do you get behind the new approach? Roger, as Managing Director, led the transformation of this business post pensions miss-selling and in the lead up to stakeholder pensions’ reform that dramatically altered the market place. Roger’s insights bring real and practical solutions to the current challenges. View video of Roger Flynn by clicking video icon.